The system is the scandal and no one should be surprised that Canadian governments, politicians, government employees, corporations and big business executives act dishonestly, unethically, secretively, unrepresentatively or wastefully — the system allows them to do so through weak rules, weak enforcement, and weak penalties. 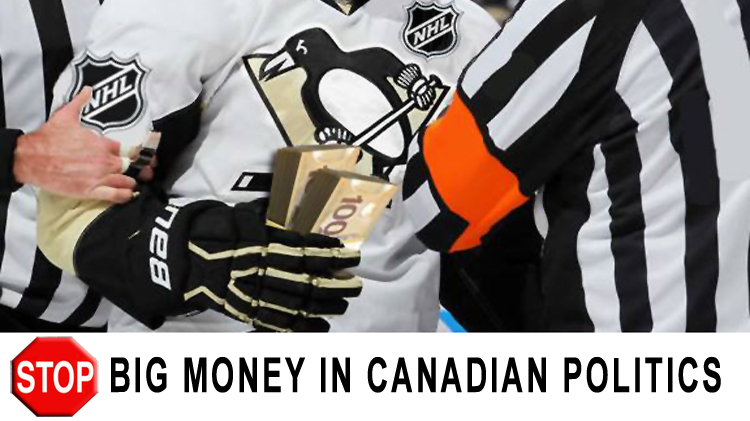 To see surveys showing how Canadians are concerned about these systemic problems, click here. This is not at all to say that all, most or even many politicians, government employees or corporate executives are dishonest, unethical, secretive, non-representative or wasteful — but if any of these people act in these ways they will often not be caught, let alone penalized, because of loopholes in laws and rules and weak enforcement systems. No matter what issue concerns you, strong good government laws will help ensure that the government addresses your concerns. History has shown that we won’t likely have a good country until we have good governments, we won’t have a clean environment until we have clean governments, and we won’t have a fair and just society until we have fair and just governments. Incredibly, the laws and enforcement of parking a car illegally are stronger than most government accountability and corporate responsibility laws and enforcement systems in Canada, and in some cases the penalties for parking illegally are higher than for government officials or corporate executives who act dishonestly, unethically, unrepresentatively, secretively or wastefully! For the past more than 140 years, since Canada became a nation (and section 91 of the Constitution of Canada empowered politicians to “make Laws for the Peace, Order, and good Government of Canada”), politicians and government officials have not been passing strong good government laws, but instead have been playing a game by sometimes strengthening laws, but then weakening enforcement, or strengthening enforcement at the same time as creating loopholes in laws, and in almost every case penalties have remained too weak to discourage violations. While governments and corporations do bad things for many reasons, often it is because they are operating in bad ways. Especially when governments operate in bad ways, they usually do not require corporations to act in good ways (because they make secret deals behind closed doors with corporate lobbyists). And unfortunately, the public always pays one way or another when governments or corporations act in bad ways. See set out on this page Action Alerts about Democracy Watch’s campaigns to increase government accountability and corporate responsibility in Canada — to ensure governments, politicians and their staff and appointees, and government employees, and corporations and corporate executives, all pay a price for acting irresponsibly. Politicians, government officials, and big business executives are resisting changes to the system that would increase their accountability for wrongdoing. Canadian politicians have control over their own rules, and Canada’s biggest corporations spend $25 billion annually on their lobbying and promotion efforts, so Canadians have to push hard if there is any hope to counter the corporate lobby and win key corporate responsibility changes. They just don’t get it, so we have to give it to them until they do! We know the ongoing lack of response by governments and big businesses to Canadians’ concerns is discouraging, but if we give up pushing then bad politicians and governments and irresponsible big businesses will do even more to hurt people, communities, the environment and the Canadian economy. 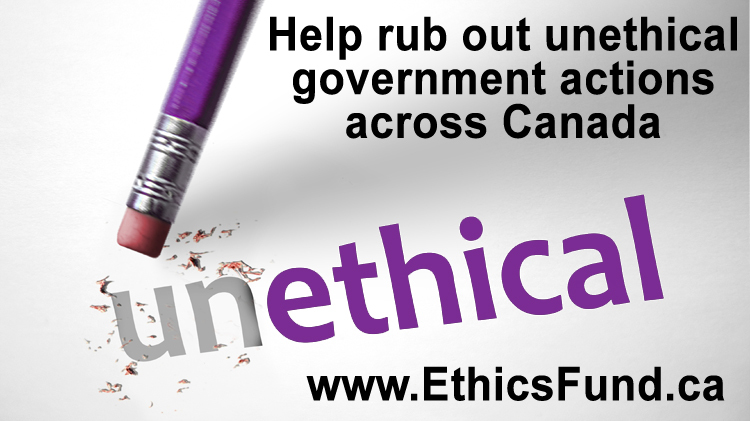 You can help clean up the system to prevent future scandals by simply writing letters to politicians making it clear that you are part of the large majority of Canadians who are concerned and want changes to clean up and democratize Canadian governments. Never assume that no one else is writing a letter, because if everyone assumes that then no one will write a letter. Politicians actually get very scared when only a small percentage of voters write them, because they are very concerned about losing the next election. Democracy Watch welcomes your support — thank you for doing your part for democracy and corporate responsibility in Canada!